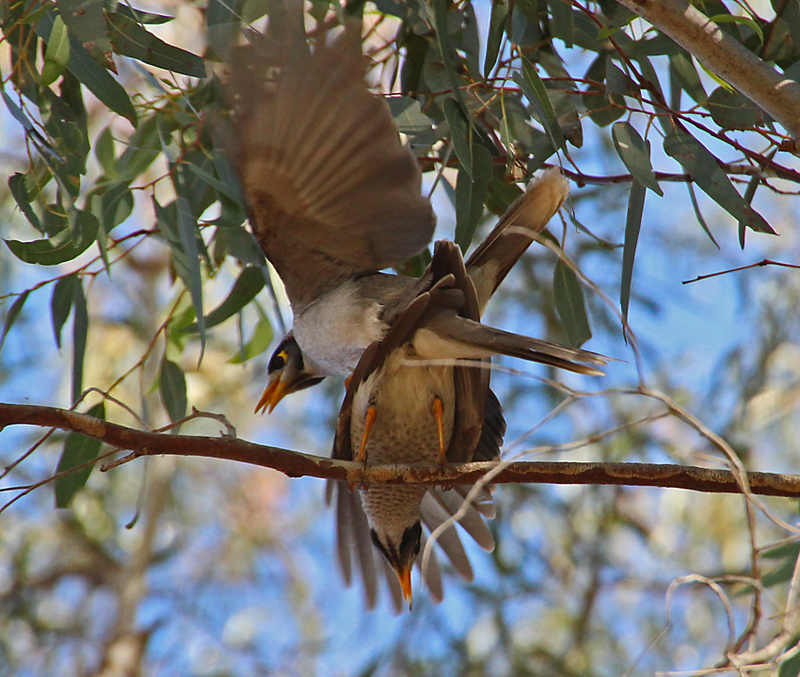 The two noisy miner birds have been flying backwards and forwards through the box gums for the last ten minutes. Eventually the male sees his chance and lands on the branch next to the female. She chirps a half hearted protest or perhaps encouragement and he seizes the moment. Mating takes just a few seconds and they go back to their previous pattern of fly and follow. I am watching the birds and their courtship antics in the Cobbler Creek Recreation Park; an area of open-woodland, near the end of Bridge Road in Salisbury East. 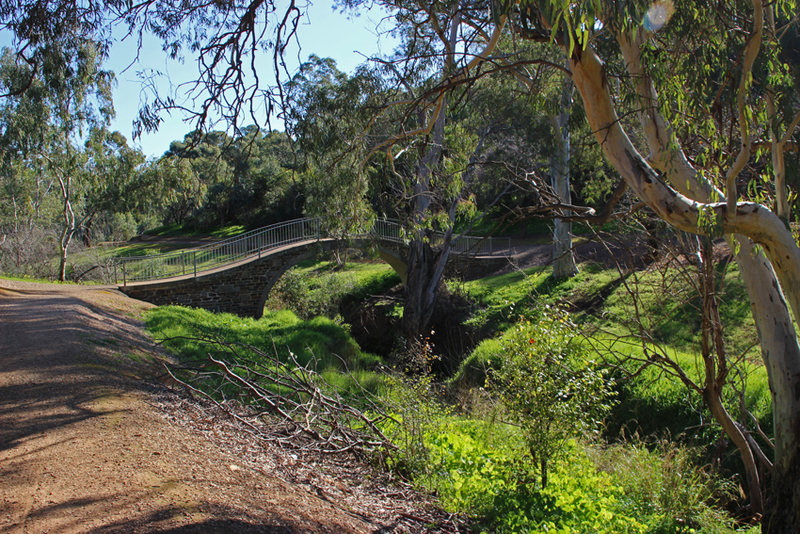 Cobbler Creek stretches up into Tea Tree Gully where it can be easily accessed from Atlantis Avenue which joins the two branches of the Golden Way. 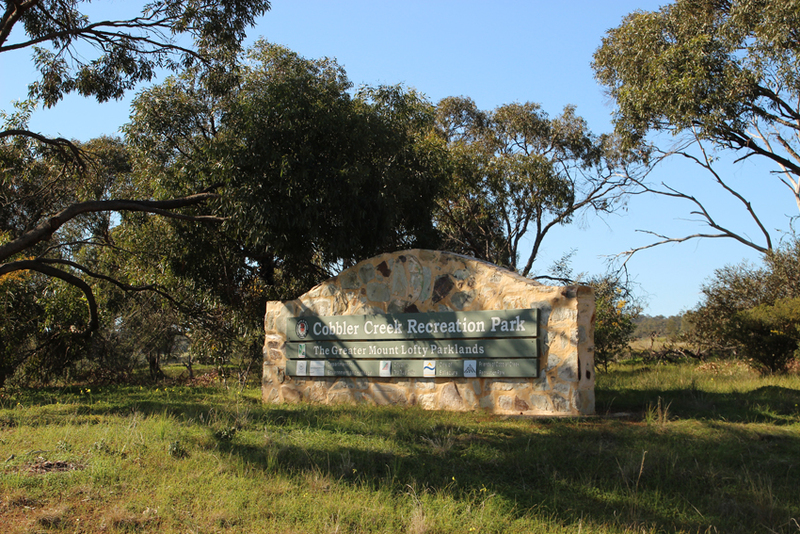 Dropping in at the Tea Tree Gully shopping mall to collect some food then exploring the creek after picnicking on the grassed area, where Atlantis joins ‘The Way’ near Spring Hill, is a nice option. After spending a little more time watching the bird life at the western end of the creek I take a short drive up to Spring Hill in TTG. 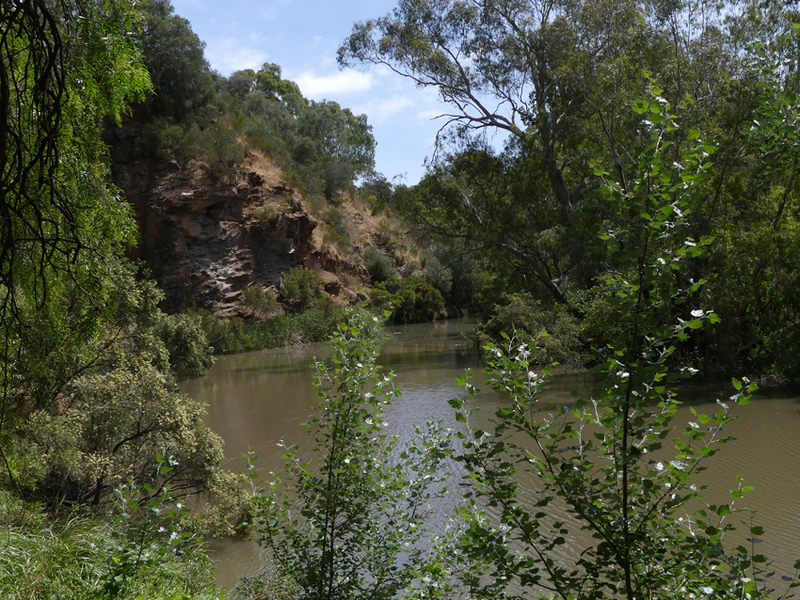 This part of the creek lies in a more urban setting where the waterway is dominated by huge red gums. There are numerous parrots in the trees and they too seem to be in a rather affectionate mood. For a while I focus on a pair of Rose Breasted Cockatoos (Galahs) which are quite intrigued by a tree hollow that has the makings of a future family home. 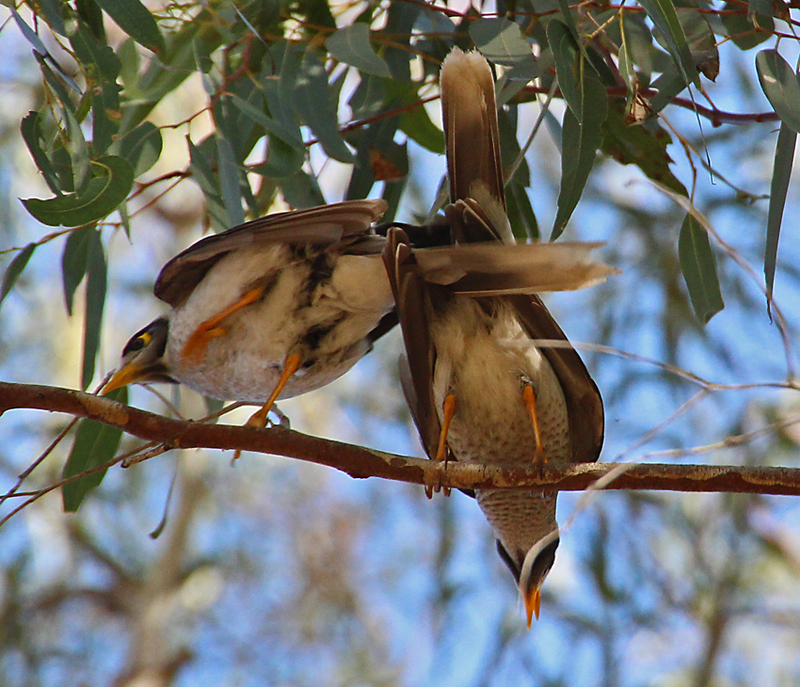 Between real estate outings they preen themselves and each other as well as squawking and hopping between branches. Occasionally they hang upside down with wings flapping madly and crests erect. 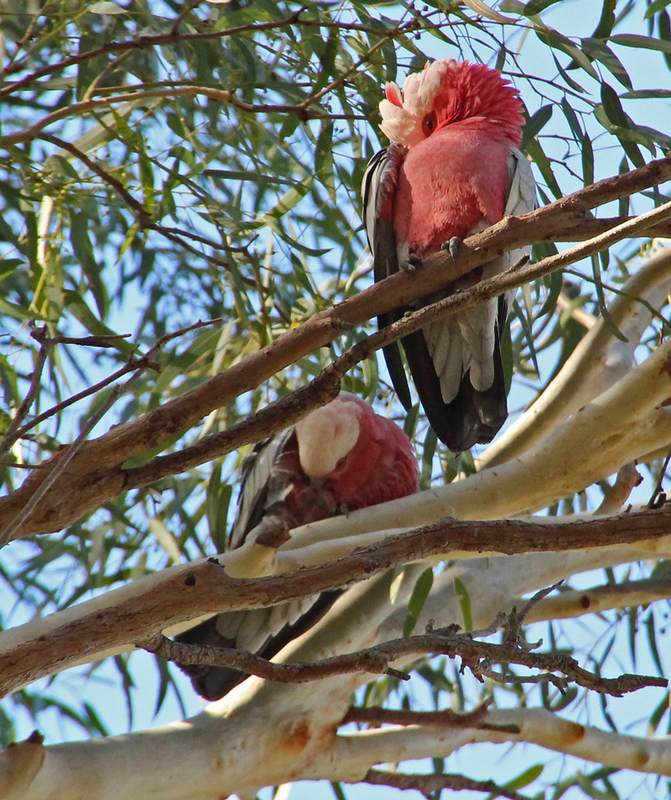 But the Galah couple do not have the neighbourhood to themselves. 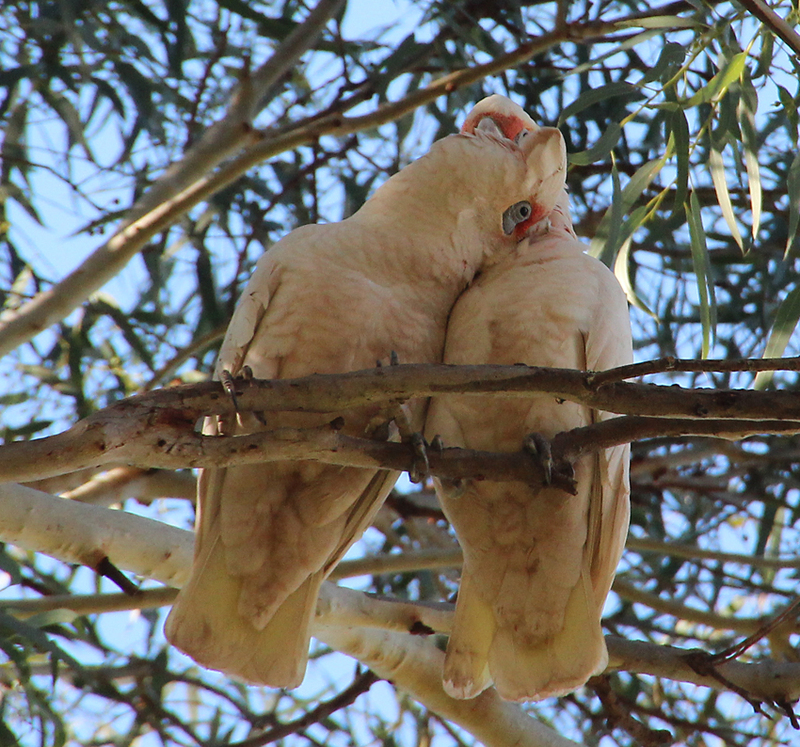 An equally amorous pair of corellas is occupying an adjacent tree and they too seem to have spied the potential nest site. Not to be outdone by their Galah cousins they engage in some serious necking and cooing. Yes, it seems that along Cobbler Creek; love is definitely in the air. From where I am standing, half hidden amongst the reeds, I can see that the river is quite high after some recent rainfall and the water fowl are making the best of it. Both maned and Pacific black ducks are dabbling along the sheltered banks. 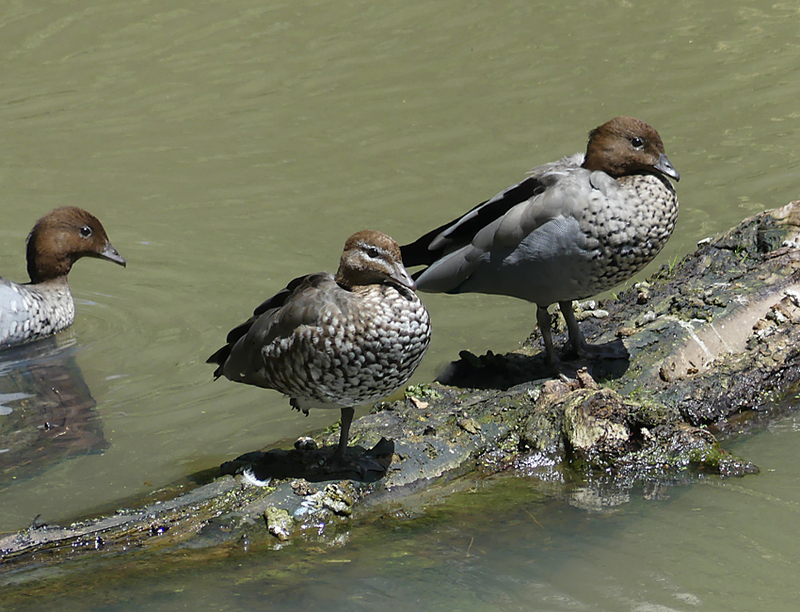 Any ducklings seem to have reached maturity and left the area though some of the other water birds such as purple swamp hens and dusky moorhens are still tending their chicks. Riverbend Park is exactly what its name implies. Situated at Clarendon, just a two minute walk from the main street, it is a glorious little reserve with an abundance of habitats and wildlife. There are steep cliffs, reed beds, deep pools and shallow riffles. 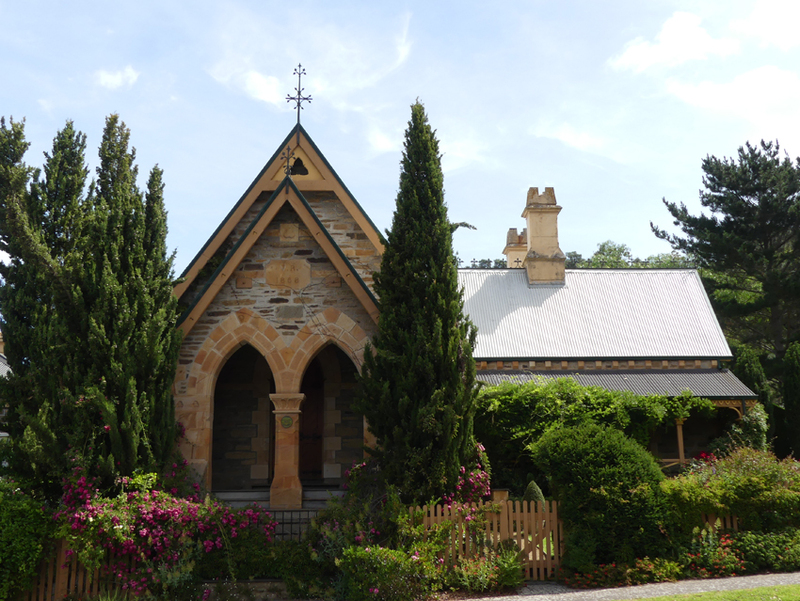 Wildlife aside, the township with its colonial feel, lovely old homes and good eateries, is a destination in itself and certainly worth the forty minute drive from the city. 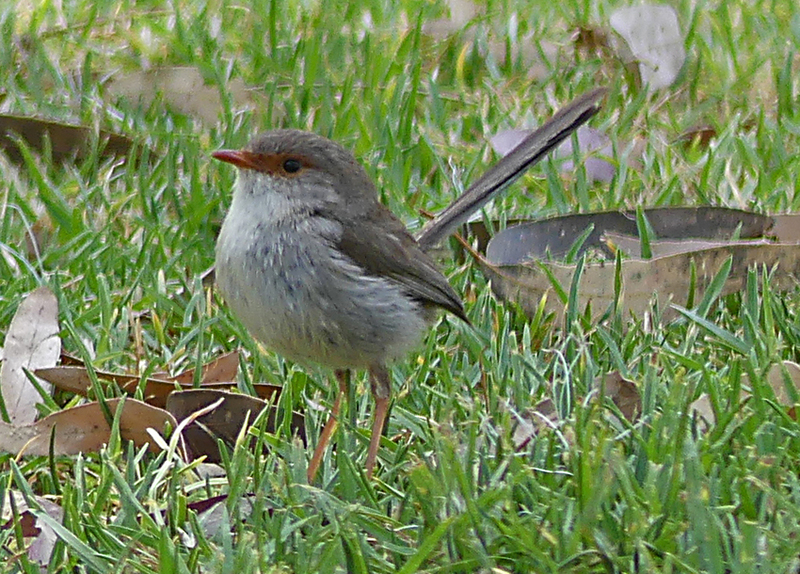 As I stroll along the well grassed banks of the park I notice several species of honeyeaters flitting across the water. The birds seem to be attracted to a huge river gum, gorging themselves on the insects sheltering beneath its peeling layers of bark. 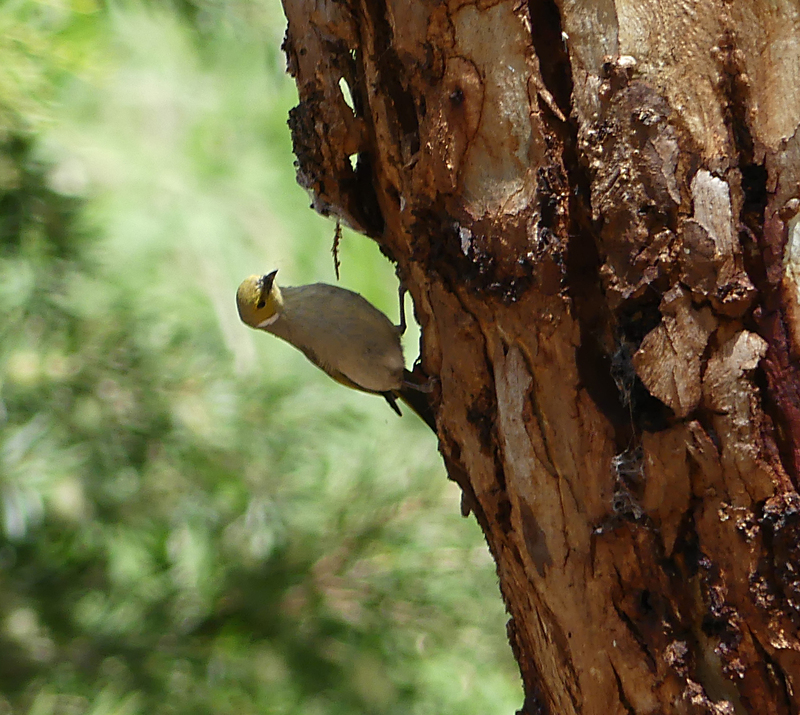 Positioning myself behind a nearby bench I rest the camera on a bean bag for stability and fire off a few shots, eventually capturing an image of a white plumed honeyeater hunting for bugs. I follow a well worn dirt road downstream from the car park towards some crumbling cliffs that rise up from the river bank. Unable to go any further, I sit and wait for a while with the camera resting on my lap. 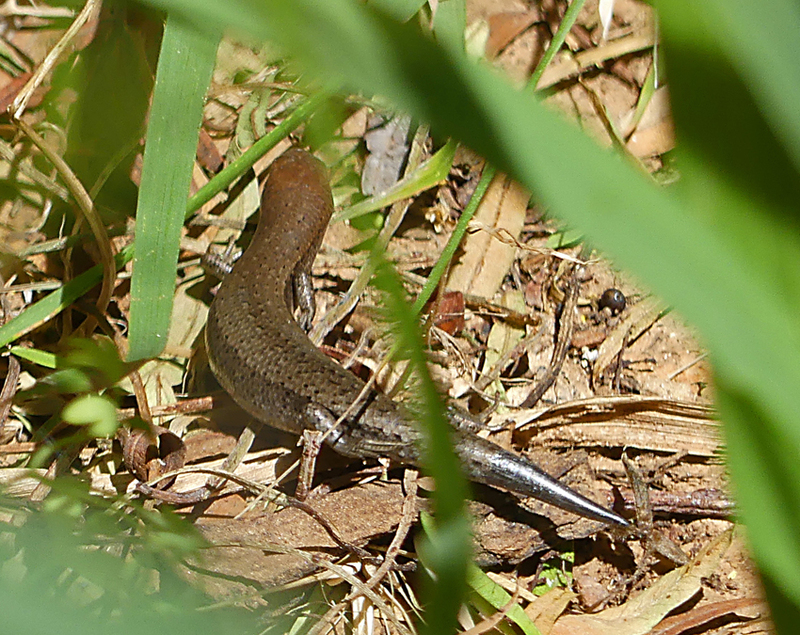 There is movement in the undergrowth all around me and after a few minutes I catch sight of a small water skink making its way down to the water. After spending a couple of hours in the park, it’s time to indulge in lunch at the local bakery. I take the short walk over the ford then up a well worn path to the main street. 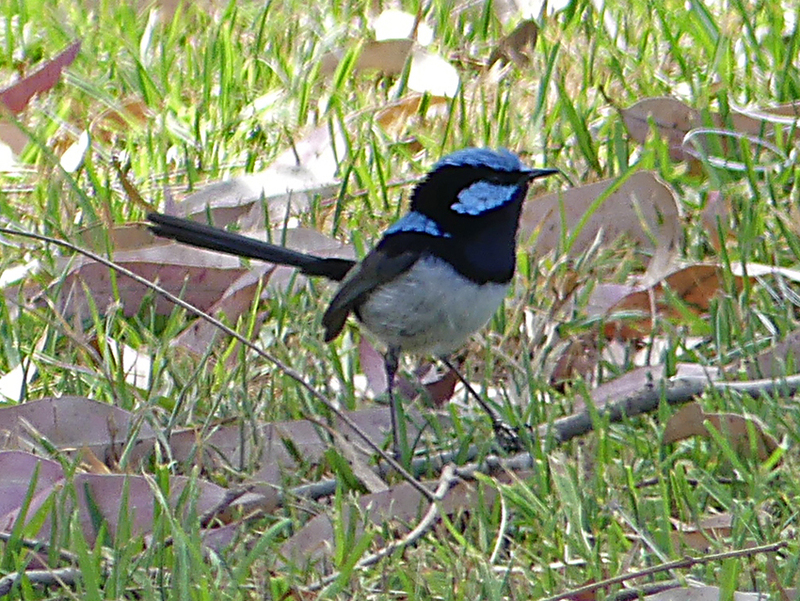 Half way up the path I can hear the high pitched twittering of blue wrens. Back out with the camera for one last time! The decision is justified as both a male and female leave the shelter of the bushes to forage on the ground for their avian version of my long anticipated lunch.